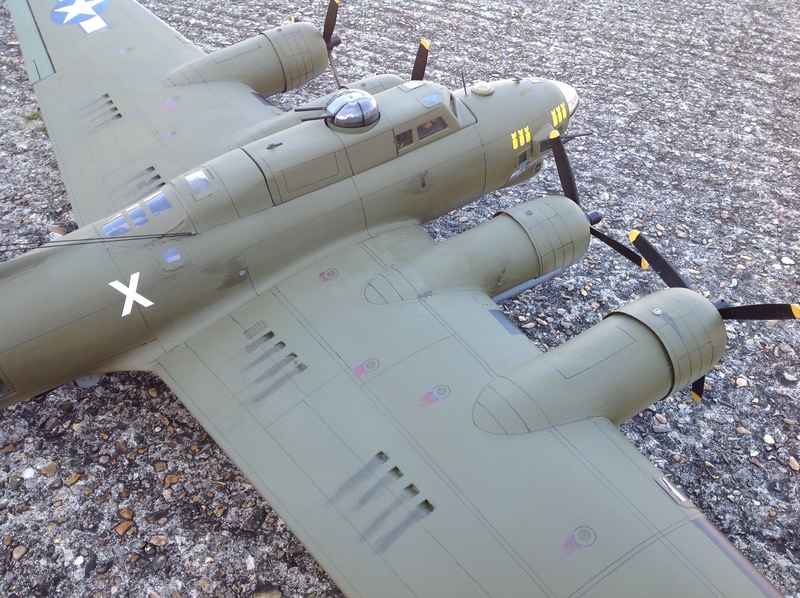 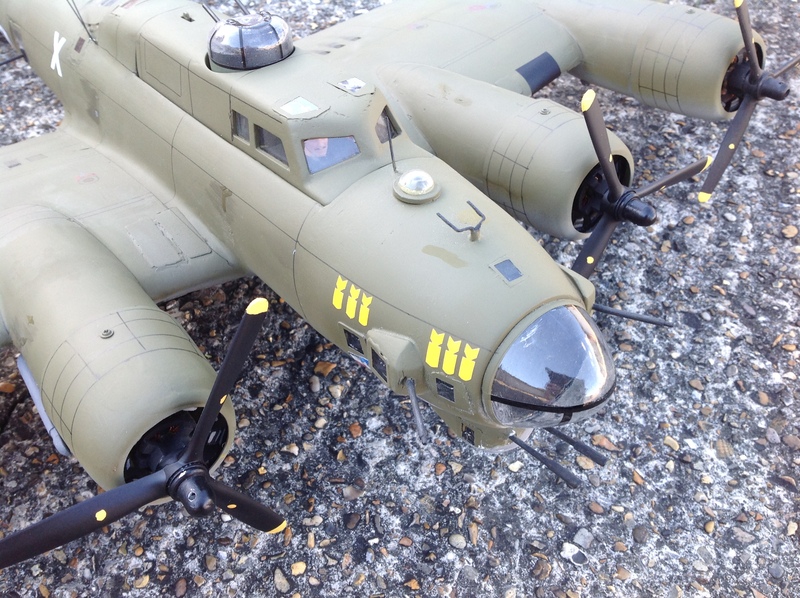 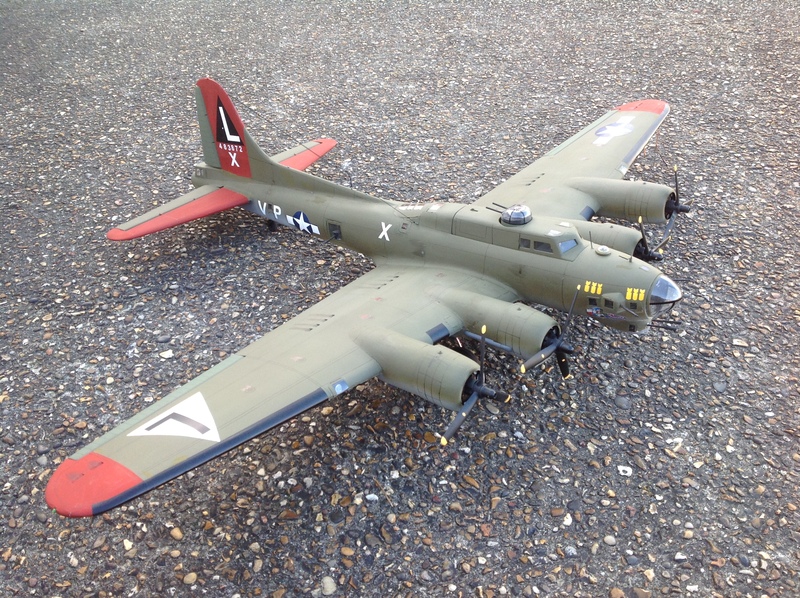 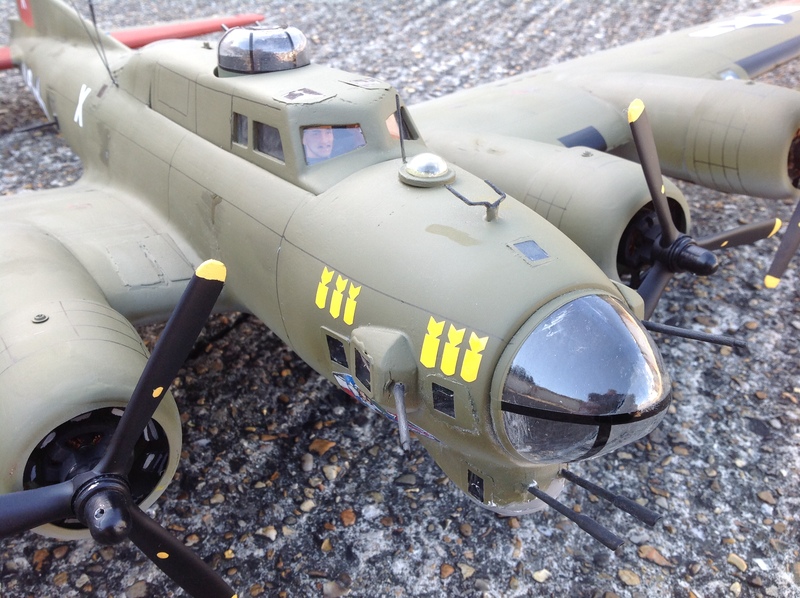 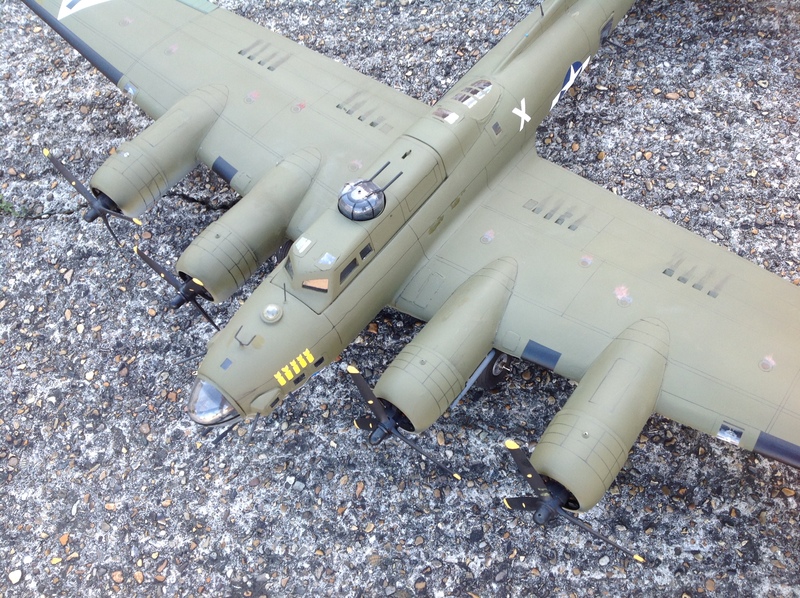 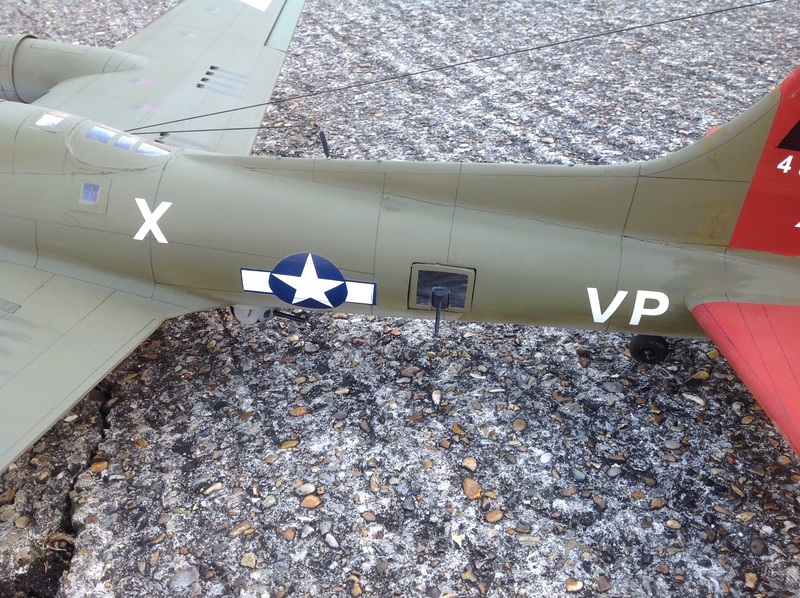 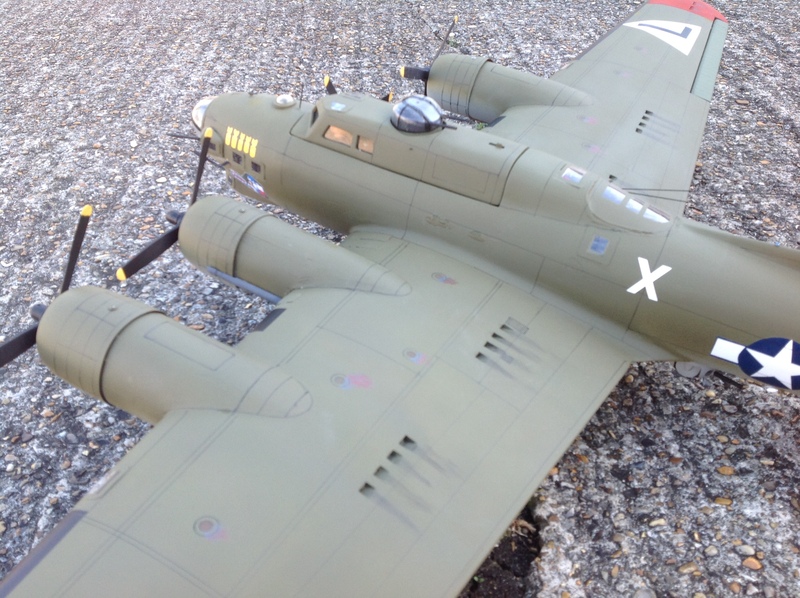 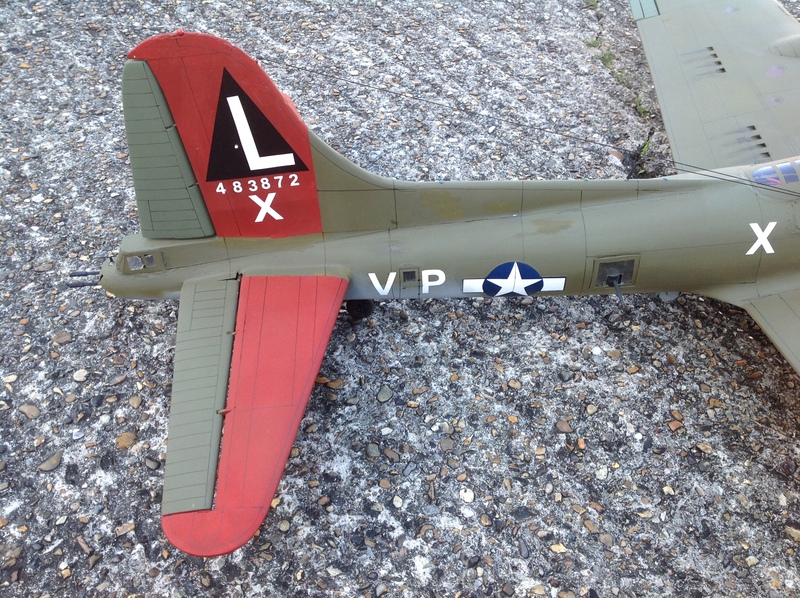 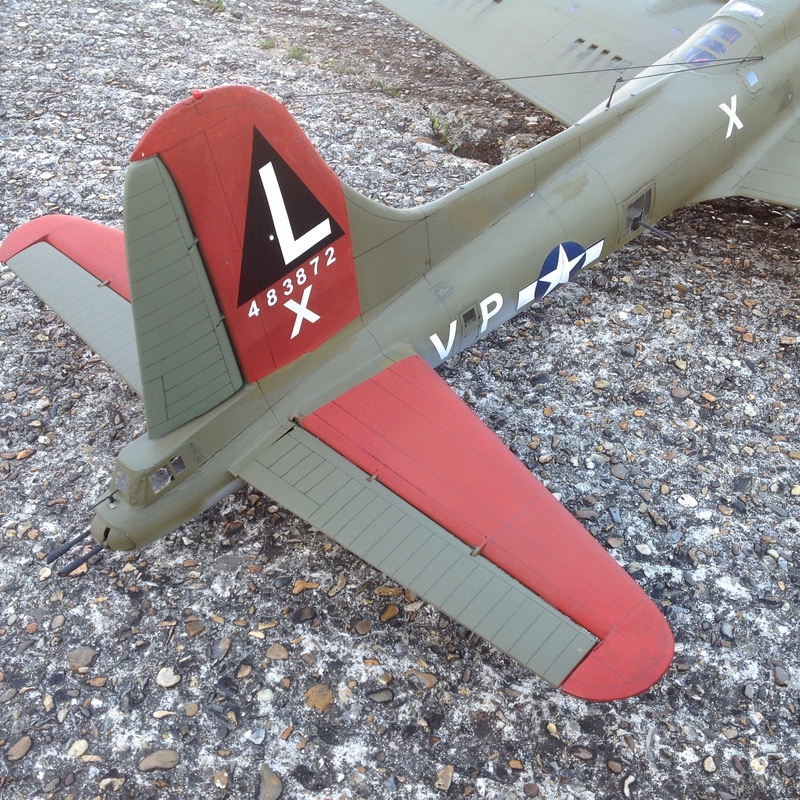 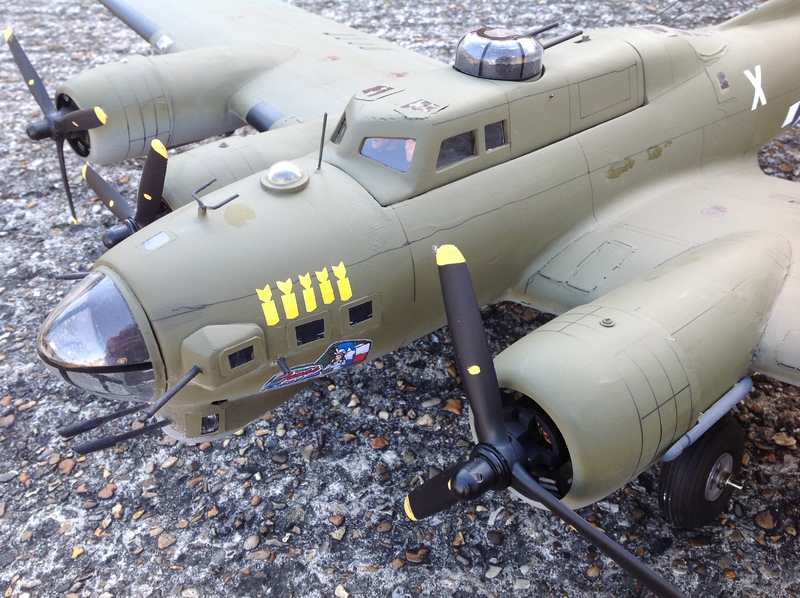 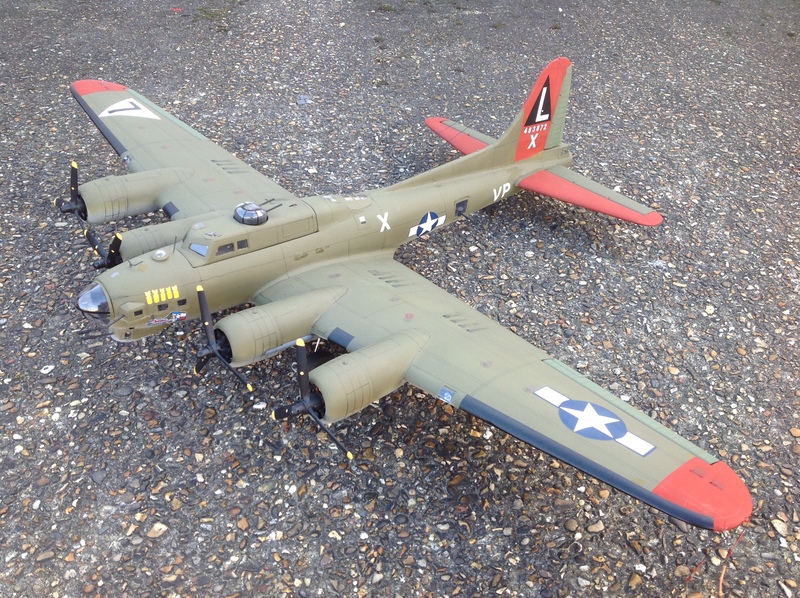 Boeing B17 this model was built over the winter of 2014/15 for the scale meeting at Old Warden in the summer, unfortunately I could not fly it on the Sunday because the weather was so bad, it was flown at the British Nats and came second. 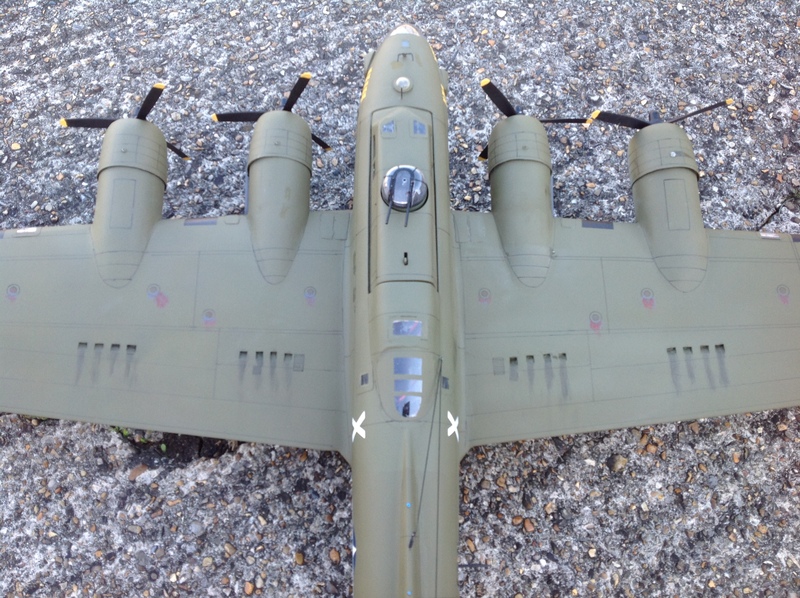 I am now in the process of improving the scale appearance, see attached photos. 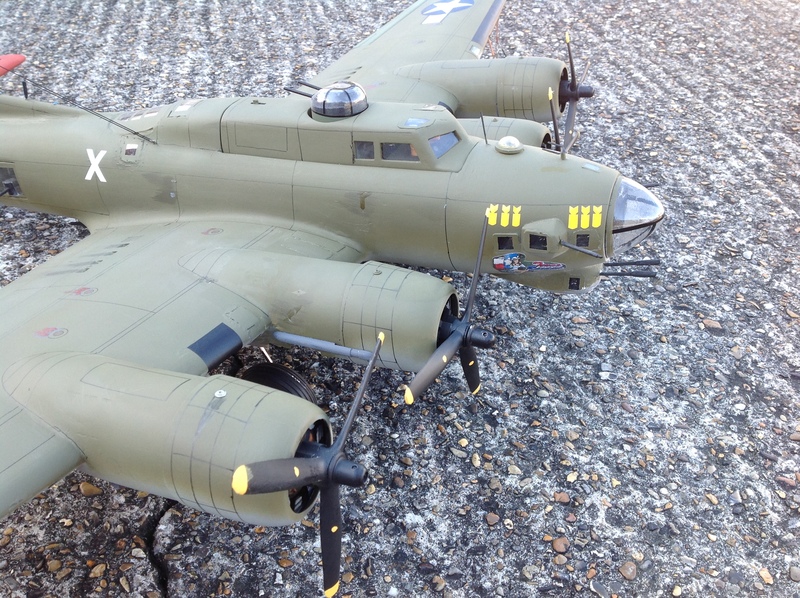 The model is fitted with bomb doors and drops four bombs, both upper and lower turrets revolve with machine gun fire, full retracts are fitted included the tail unit it also has a sound system for the motors. 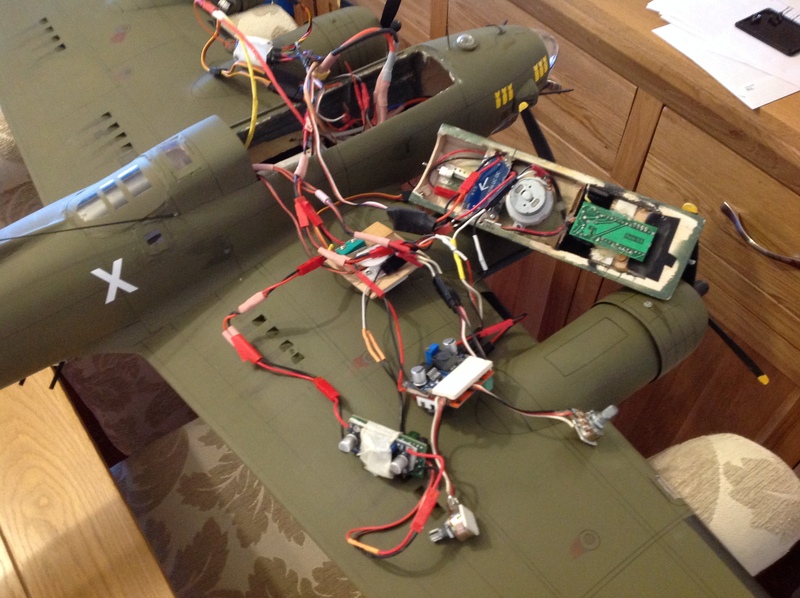 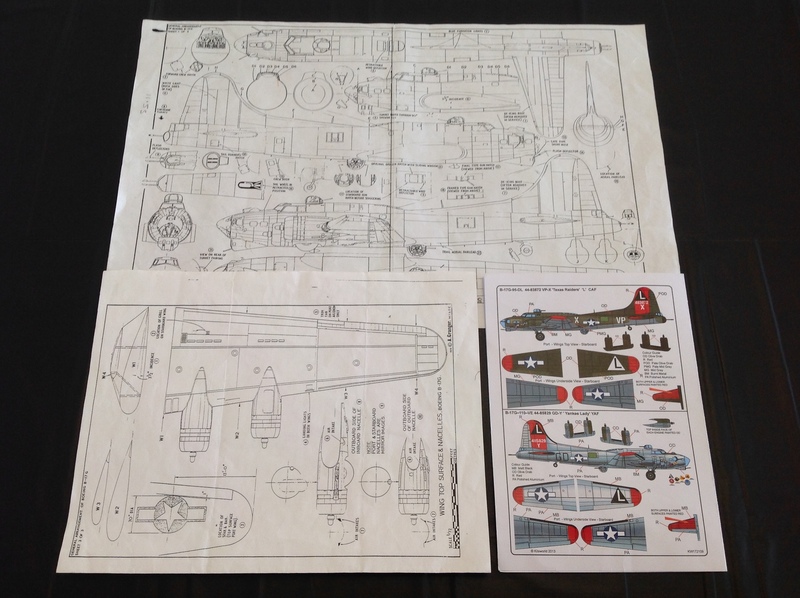 This has been quite a difficult model to build one of the main problems has been fitting all the electronic parts in the model even though it is 55inch wing span, you still run out of room. 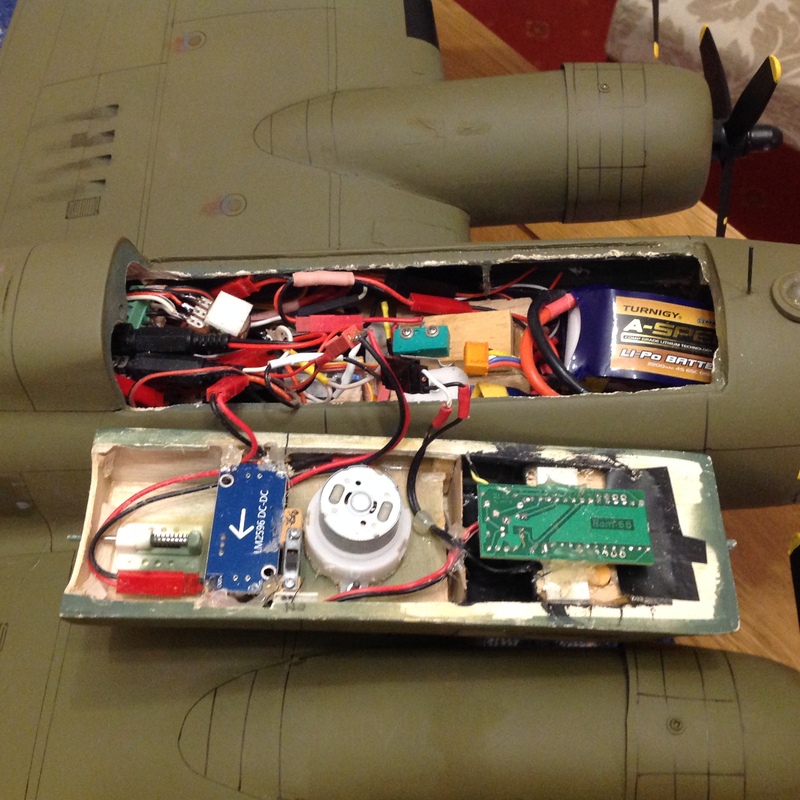 Not much space, Electronices extend to the rear of the fuselage and below.